SiteDesigner 2372 days ago Website Design WordPress Themes All http://vandelaydesign.com Discuss Published New Discard Success! SiteDesigner 2441 days ago Website Design DesignTutorials All http://vandelaydesign.com Discuss Published New Discard Success! Grunge effects like textures and scratches can be used create backgrounds, to distress text, or just to add a subtle texture to an element in a design. One of the easiest ways to add texture and scratches is through the use of Photoshop brushes. In this tutorial we'll show how you can create a custom scratched surface brush that will be highly useful in your own design work. This is the same technique that was used to create our set or Scratched Surface Brushes that are available at Vandelay Premier. SiteDesigner 2528 days ago Website Design Design Process All http://vandelaydesign.com 9 Comments Published New Discard Success! ther ado, here’s a list of some of the best apps and tools for delivering the perfect client presentation. It’s simple, easy, and free. Either join someone’s screen share or share your own. You can invite up to 250 viewers into your screen share and can even let them take control of your computer. Join.me has a great list of features, such as internet calling, chat, and file sharing, which makes it a great all-in-one solution for screen sharing presentations. Comment to Win PSD to HTML Credits from W3 Markup! SiteDesigner 2592 days ago Website Design Site News All http://vandelaydesign.com 48 Comments Published New Discard Success! 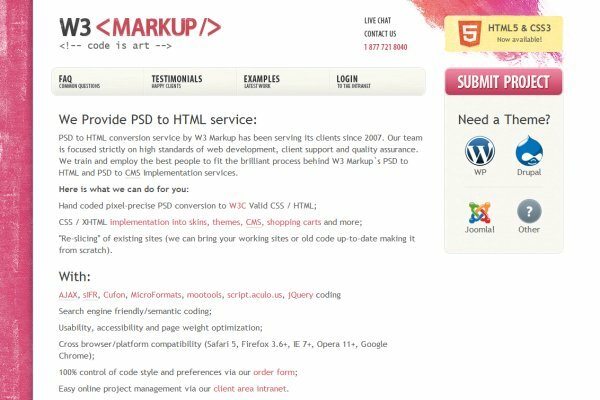 Our friends at W3 Markup have offered to provide free PSD to HTML credits for two lucky readers of the Vandelay Design blog! The first prize winner will get $400 in credits and the second prize winner will get $300 in credits. SiteDesigner 2595 days ago Website Design Design All http://vandelaydesign.com Discuss Published New Discard Success! A few months ago at Vandelay Premier we recently released a set of highlighter brushes for Adobe Illustrator,and in this tutorial we'll show how you can accomplish the same thing on your own. We'll scan some lines made by a highlighter and that will give us a nice brush for using whenever highlighter or marker effects are needed. SiteDesigner 2743 days ago Website Design Blogging All http://vandelaydesign.com Discuss Published New Discard Success! lateaus to help make that push and get things moving forward again. A lot of bloggers incorporate goals into their daily, weekly, monthly, or yearly routines. Goals can be highly effective because most bloggers are working on their own, and there's no boss or anyone else to keep them motivated. In this type of situation, goals can help by encouraging the blogger despite that lack of accountability to others. While these goals can serve as motivation they don't show you what you need to do in order to achieve them. If you've hit a plateau one of the best things you can do is forget about statistics and results and focus instead on actions. Actions will be more relevant to you in this situation because if you set up good action goals they can show you exactly what you need to do in order to get better results, removing the mystery of where to focus your efforts. While it may be things like number of visitors and number of subscribers that you are having trouble improving, by focusing on these specific actions you're likely to improve your blog, which will result in better numbers that help to get you off of that plateau. SiteDesigner 2753 days ago Website Design Design All http://vandelaydesign.com Discuss Published New Discard Success! Our friends at IconShock and WordPressThemeShock have designed a beautiful set of 10 icons especially for our blog readers. The icons can be download for free from Vandelay Premier. Please visit this page and use the promo code "iconshock" to get the icons for free. Each icon comes in PNG format, plus the original source Illustrator files are included. SiteDesigner 2775 days ago Website Design Marketing All http://vandelaydesign.com Discuss Published New Discard Success! r quality and quantity of templates available. These templates are free for use on paid accounts. Free accounts are limited to more basic templates. SiteDesigner 2839 days ago Website Design Galleriesinspiration All http://vandelaydesign.com Discuss Published New Discard Success! Restaurants that use their websites effectively are able to have a significant impact on their business. Whether it is allowing customers to view menus and specials, find a location, make reservations, sign up for a mailing list, or place an order online, there are a lot of ways that restaurants can benefit from a website. emping food. At the end of the post we'll also list a few options for creating a restaurant website, including some of the best templates and themes. SiteDesigner 2843 days ago Website Design Business All http://vandelaydesign.com Discuss Published New Discard Success! 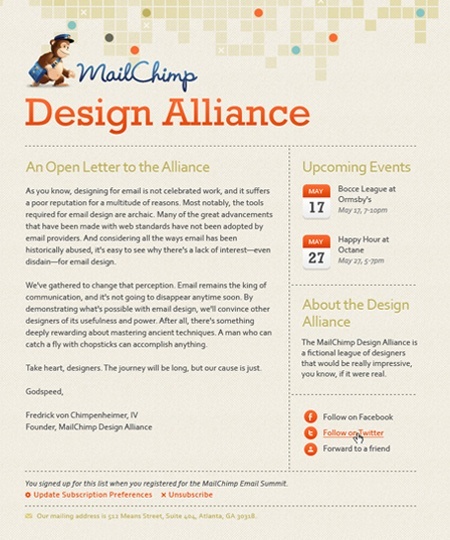 With so much competition out there, freelance designers are always looking for new ways to stand out from the crowd. Some designers have used free resources to build their reputation. While it may seem counterproductive to give away resources that you have created, there can be significant benefits that make it worth your time. In this post we'll take a look at 7 examples where giving away freebies has been beneficial to the business and career of designers. designers to save time and create impressive results. Those who provide the free resources can also benefit from this interest even though they are not charging anything for the resources. The designer can benefit from added exposure and name recognition, from traffic to their site or blog (and possibly increased ad sales), and from the opportunity to promote their other products and services to these new visitors. Let's take a look at some specific examples of designers who have helped the design community, and themselves, by distributing free resources. Jay Hilgert is a designer and blogger that has used freebies to boost his profile within the industry. Jay's blog Bittbox is one of the best resources for design freebies. Over the last several years Jay has distributed freebies such as Photoshop brushes, textures, vectors and fonts. Each week a new free texture pack is released, and the Bittbox Photoshop brushes are some of the most popular brush sets found anywhere (the watercolor brushes have been downloaded more than 1 million times). Currently, Bittbox release freebies from other designers as well, but Jay's freebies are what established the site's reputation. As a result of the Bittbox freebies, Jay has a successful blog and is recognized as a creator of high-quality graphic design resources.